Why Not Just Walk Away from a Home? 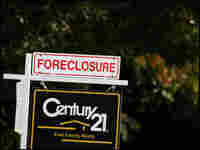 Foreclosure, we're told, is a last resort. But some distressed homeowners are voluntarily walking away from their mortgages, a practice the mortgage industry calls "ruthless default." But some economists argue it's not ruthless, just good business sense. Why Not Just Walk Away from a Home? The Web site for You Walk Away is cheery and reassuring. There's a photo of a happy family in a park, smiling. Another family, also smiling, is packing up boxes. "Are you stressed out about mortgage payments?" asks the site rhetorically. "Is foreclosure right for you?" it queries, but doesn't wait for an answer. "You are not alone — over 2.9 million homes have foreclosed in the last three years," it says. The not-so-subtle message: Foreclosure need not be a shameful, life-ruining experience. In fact, the company will gladly hold your hand through the foreclosure process—for a fee, of course. Foreclosure, we're told, is a last resort, an option that no responsible homeowner would ever choose. But some distressed homeowners — no one knows exactly how many — are doing just that. They're voluntarily walking away from their mortgages, engaging in a practice the mortgage industry calls "ruthless default." But is it really ruthless — or just good businesses sense? Some economists argue it's definitely the latter. Sometimes, they say, walking away from your mortgage makes economic sense, especially for homeowners who find themselves "upside down" — that is, they owe more on their mortgage than their house is worth. In those cases, "voluntary foreclosures are not by themselves evidence of a newfound irresponsibility on Americans' part," says Nicole Gelinas, writing in The Wall Street Journal . Separating the economics of foreclosure from the morality (and the stigma) is not easy, though. "We need a culture of responsible consumers and homeowners," says Gail Cunningham, spokeswoman for the National Foundation for Credit Counseling, echoing a deep-seated American belief that one should always honor financial obligations. The current housing crisis is different, argue some economists: Since some financial institutions sold these loans in a deceptive manner — for example, by approving people for loans they couldn't really afford — then why should homeowners feel obliged to honor their commitments? Most homeowners avoid foreclosure for selfish, and not necessarily moral, reasons. Foreclosure leaves a large black mark on a homeowner's credit rating. It might be as long as 10 years before they can qualify for another mortgage. But Gelinas — a financial analyst and contributing editor of City Journal — argues that if enough people walk away from their homes, then banks won't blacklist all of them. "Many walkers are going to want to buy houses again some day; and when they do, lenders are going to want to make money lending them money to do so (hopefully requiring a good down payment)," she says. One thing that is certain: Foreclosures are on the rise. The Mortgage Bankers Association estimates that roughly 900,000 Americans were in the foreclosure process as of Sept. 30, 2007 — the most recent data available. That's an increase of 72 percent from the same period a year ago. Cities in California, Ohio, Florida and Michigan posted the highest foreclosure rates in the U.S., according to RealtyTrac, a private firm. Traditionally, most people who foreclose on their homes do so because they lost their jobs or were hit with unexpected medical expenses. But the subprime mortgage crisis is different. Seven out of 10 people foreclosing on their homes are healthy and gainfully employed, according to John Taylor, president of the National Community Reinvestment Coalition. They simply can't afford to make their monthly payments. For a fee of $995, the company offers services such as a "protection kit." For instance, they'll send a letter that "stops lenders from harassing the homeowner." They'll also put distressed homeowners in touch with a lawyer and an accountant to discuss their options. They'll advise people in the midst of foreclosure how long they can legally live in their homes, tempting people with the prospect that, "You WILL be able to stay in your home for up to 8 months or more without having to pay anything to your lender!" Chad Ruyle, the company's co-founder, says they are not encouraging people to pursue foreclosure but merely helping them through the process once they have made that decision. "We're not causing the foreclosure problem," he says. "The problem was already there." Or, as his business partner Jon Maddux puts it, "You can't blame a divorce lawyer for a divorce." Firms like You Walk Away, though, have raised red flags with credit counselor and consumer watchdogs. Ellen Schloemer, director of research at the Center for Responsible Lending, says borrowers would be better off hiring their own attorneys and accountants, rather than relying on those provided by You Walk Away. "Just look at the picture [on the company's Web site]," Schloemer says. "It shows people enjoying a day in the park. But foreclosure is no day in the park." It takes a decade to recover from a foreclosure, she says, and there's not much anyone can do about that. The company, she says, paints a misleading picture of the foreclosure process. "The real solution is to help people before they're forced into foreclosure," she says. John Taylor, of the National Community Reinvestment Coalition, says he's concerned that the company might not help customers explore all of their alternatives before going into foreclosure. "I would rather see people who are facing foreclosure fighting to keep their home, and keep it as long as possible, because help is on the way," he says. On Tuesday, in fact, the Bush administration announced a new initiative aimed at helping homeowners about to lose their homes. For qualified homeowners, it will freeze the foreclosure process for 30 days. Dubbed "Project Lifeline," the new program will be available to people who have taken out all types of mortgages, not just the high-cost subprime loans that have been the focus of previous relief efforts. Those efforts, of course, are about avoiding foreclosures, not facilitating them. "Walking away from one's home should be the absolute last resort," says Gail Cunningham of the National Foundation for Credit Counseling. "However desperate a situation might become for a homeowner, that does not relieve us of our responsibilities." But there is one category of homeowner, she says, where foreclosure does make sense: people who bought their homes "with their hearts and not their heads." "For people who may never be able to afford their home, then walking away is a viable option," she says. "If long term, you're not going to be able to sustain the mortgage payment, then you're fooling yourself and should get out of that situation and move on to life after foreclosure."